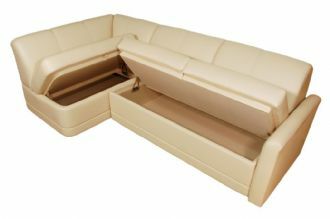 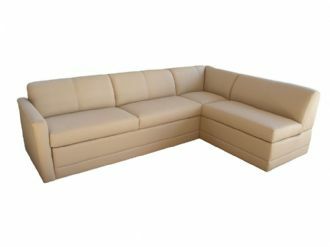 The Glastop COMPanion Marine Sectional Storage Group is a 13-piece innovative, sheer comfort innerspring yacht sectional group that is designed and built exclusively for Glastop. 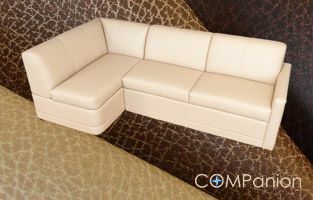 The COMPanion is our best selling marine sectional group for an abundance of reasons: style that enhances any yacht interior, amazing comfort, lift lid storage, a Flexsteel magic bed sleep system, matching custom marine furniture sections to fit any application and quality construction by our master craftsmen. 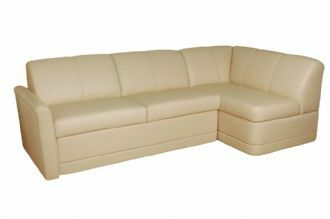 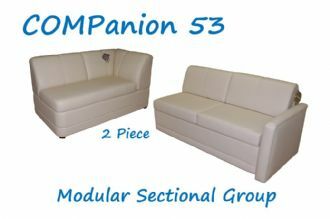 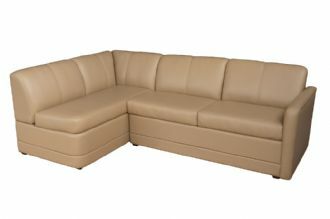 Our stylish COMPanion Marine Sectional Storage Group's comfort is derived from its unique innerspring lift lid construction, select foams and glove soft Ultraleather or Sunbrella Marine Furniture Fabric.